We know that Christmas is coming, and that’s just from our own excitement in the office! With that in mind, we know that to be prepared you need to know as early as possible when deliveries might be affected. We will be closed from 5pm on Monday 24 December 2018, and will re-open at 8am on Wednesday 2 January 2019. This is the same for all branches as well as Beacon Monkey and Emergency Vehicle Solutions (EVS). Last orders made via our couriers and Royal Mail will be despatched on Friday 21 December 2018. Local deliveries will be made via our own fleet until and including Monday 24 December 2018. This applies to all branches. Please notify us now if you have any special delivery requirements over the festive period, and if you have any special arrangements which may affect our deliveries to you. You can do this via email at sales@dun-bri.com, by contacting your local branch or via our Facebook and Twitter pages. As in previous years, please download our handy reminder card for your warehouses, desks and wall charts to make sure you don’t miss the dates. Reminder cards can be found in deliveries from orders placed from the end of October. 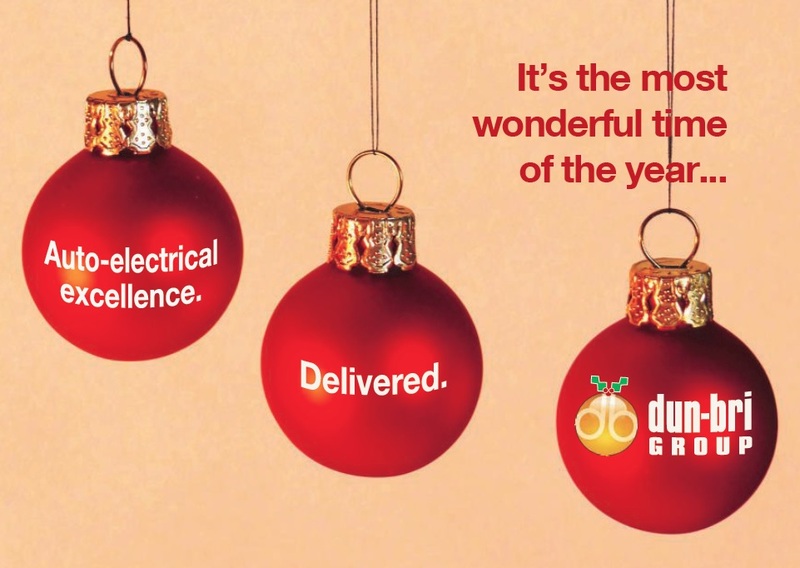 Finally, from all of us at the Dun-Bri Group have a merry Christmas and a wonderful New Year! Thank you for your custom during this year. We look forward to working with you all again in the New Year! Hi Leanna – we do. You can find us at twitter.com/dunbrigroup. Thanks!